Our luxury 5-Star Gold holiday cottage in Eglingham, midway between Alnwick and Wooler, is an ideal retreat for a couple wishing to enjoy a self-catering holiday in beautiful Northumberland. 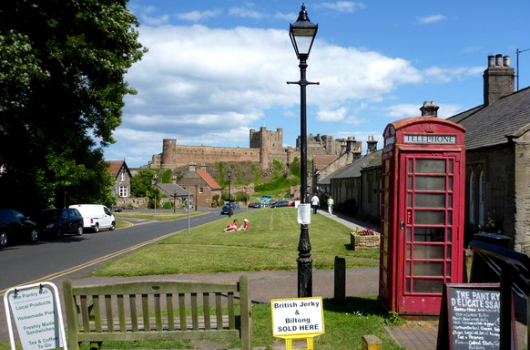 Our charming holiday cottage is ideally located for visiting Northumberland's many attractions, including Alnwick Castle, Alnwick Garden, Bamburgh Castle, Holy Island, Hadrian's Wall, Northumberland National Park, and many more. We can keep you updated by email about Mill Cottage, our luxury 5-Star Gold self-catering holiday cottage in Eglingham, Northumberland, including details of any special offers, cancellations and last minute availability. Please enter the last three digits of our landline telephone number (shown below centre). This will help us to distinguish genuine enquirers from junk mail robots.